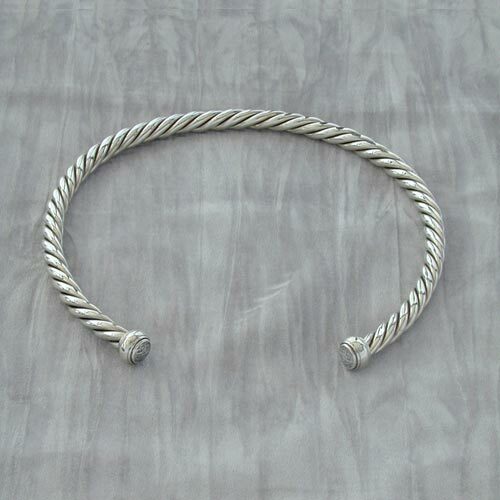 The torcs are made from twisted silver wire with cast terminal pieces. They are springy as they are work hardened. The standard size is about 13"(330mm) with the gap size is usually 2"(50mm) to 3.5"(90mm) but can be adjusted to the wearers preference.Also available in 9ct Gold. Please contact us for prices.